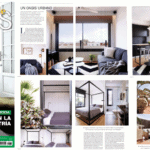 We are very happy to share with you the appearance of our work in number 209 of the magazine Interiores. 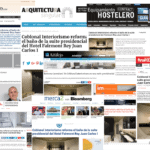 This time it is about the bathroom and service areas of the Presidential Suite of the Hotel Fairmont Rey Juan Carlos I in Barcelona. 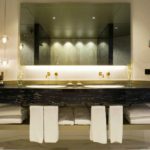 We have taken care of both your interior design as of the execution of the work in order to take care of even the smallest detail. 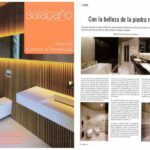 The result is added to the set of our projects as a unique project characterized by symmetries and chromatic contrasts that make this bathroom an ideal space to wash and relax in luxurious conditions. More pictures of the project clicking here. Everyone to the kiosk for a copy!